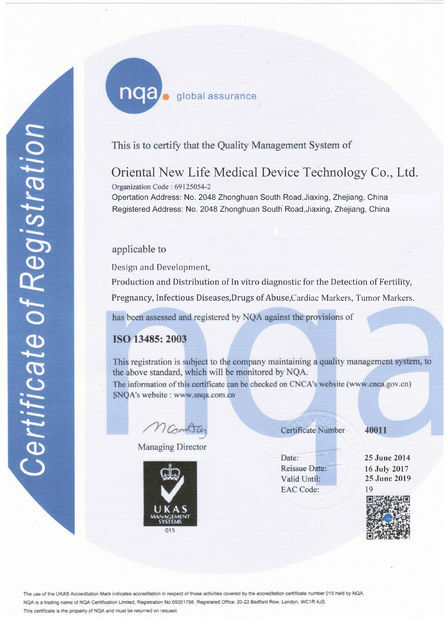 Quality Control - Orient New Life Medical Co.,Ltd. 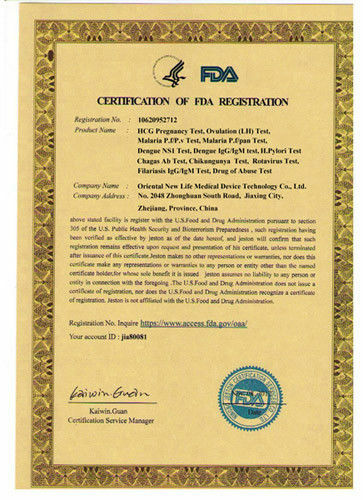 New Life has a well-established quality system, which meets the requirements of the international quality standards ISO 13485.US FDA and cGMP. 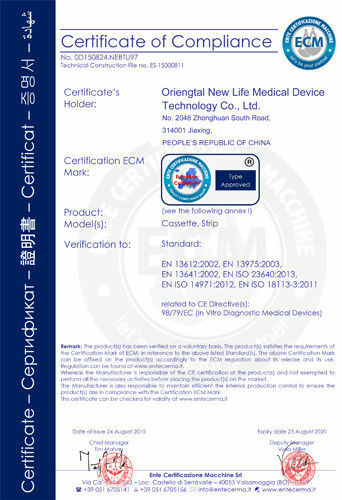 New Life products are CE certified and in conformity with the essential requirements and procedures of the European Council Directive 98/79/EC on medical devices. Quality is everybody’s commitment. Our management takes the lead to set objectives and demonstrates its commitment towards quality by practicing and living what they preach. All New Life functions are fully responsible for observing mandatory principles, norms and instructions for maintaining agreed quality standards and for constantly improving them. Our quality personnel at all levels are the guardians of quality. They promote quality awareness, assess performance and challenge the organization to sustain and improve quality standards.